I recently started on a huge decluttering marathon and home purge. 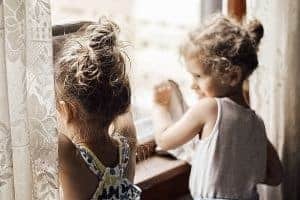 Around our homestead we are striving to simplify our lives and that means getting rid of the things that aren’t value added or meaningful to our family. Over the past few years or so, there has been a huge trend in following along in the KonMari method of decluttering and organizing. It even has a cult like following. I’m not a huge trend follower, but I was curious to see what all of this “life changing” fuss was about. I bought the book. I began reading it, but then got side tracked by becoming pregnant with our third child. And the incredible morning sickness that reared its ugly head. I’m a few months postpartum and things are slowly returning to normal around here. And I’m pretty much back to my old self. 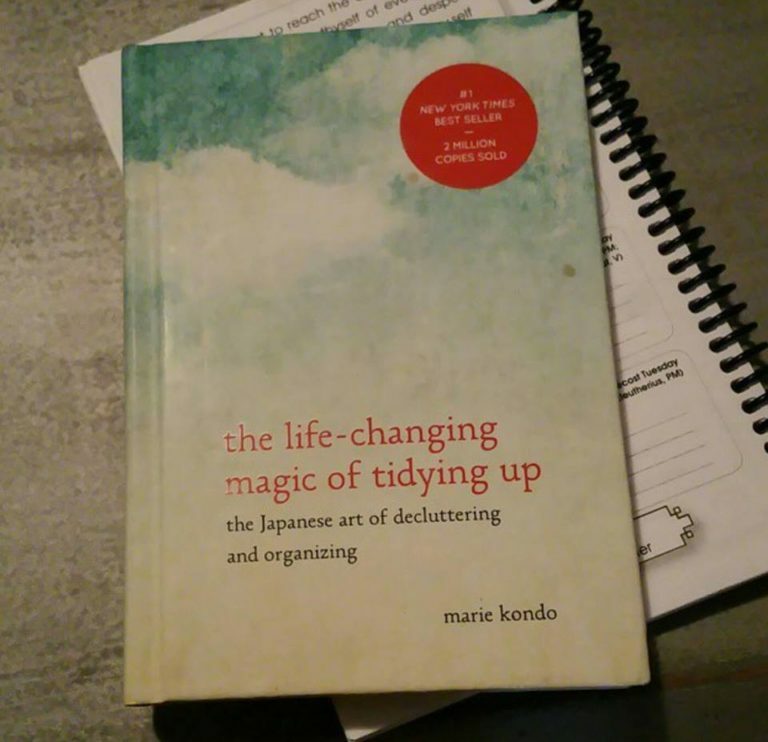 So, I picked up my copy of this “The Life Changing Magic of Tidying Up”. While reading through it, I felt uneasy. In a nutshell, it has elements of Feng Shui and that just doesn’t settle quite right with me. Which for those who aren’t familiar, Feng Shui is the Taoist belief that the land and inanimate objects are alive and filled with “chi”, a universal life force. 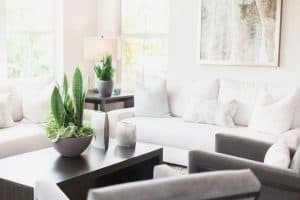 It also follows the principle that depending on which way an object is facing or placed in a home is directly responsible for creating vibes or energy, both positive and negative. These are very superstitious practices. Which goes against the first commandment of God. Um, no thank you. As a Catholic, I instead thank God for providing me with the gift of clothing and for all of the things for which He provides us. In her book, Kondo also suggests that we are to treat our clothing with respect and that they are “tired” for the job which they do for us. I am all for treating things which we own with respect because they are a gift from God, but I don’t agree that these items are “alive” as is described in the book. Now, to be fair, Kondo does provide some good tips. If an item doesn’t “spark joy”, it is to be discarded. I totally agree with this. Why are we holding on to items in our home which we don’t use or don’t bring us joy to use them? Aside from a very few irreplaceable or sentimental items, I say get rid of them. Don’t allow them to take up space and collect dust. A cluttered home, in my opinion, brings about chaos. It leads to a cluttered mind and just doesn’t feel clean. And cleanliness is next to Godliness, right? 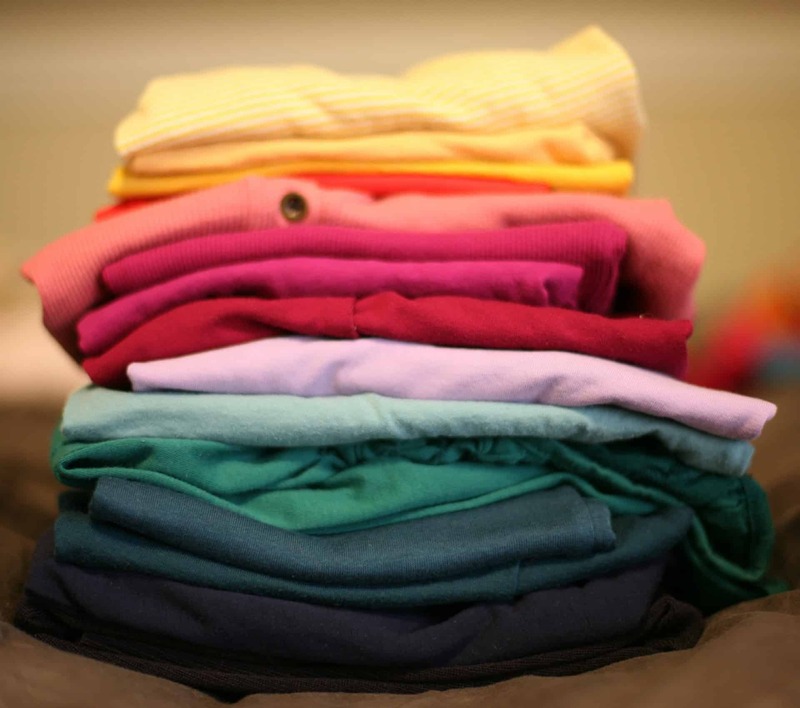 Kondo also provides some great tips on how to fold clothing in a way that takes up the best use of your space. And the way she suggests hanging clothes by style and color are what I’ve done for years. Its very visually appealing and makes items so much easier to find. What do I follow instead? I created a very detailed decluttering checklists which I have used and will continue to use to simplify our home more and more over time. 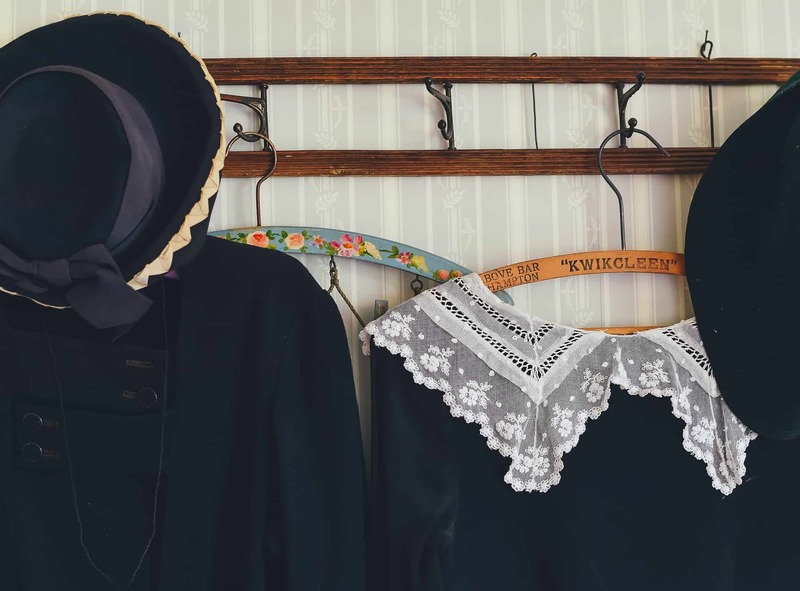 This list is similar to the KonMari method, but it doesn’t practice all of the superstitious methods as she suggests. The only principle which I have kept from her suggestions is to focus on one item at a time. So, for example let’s focus on towels. 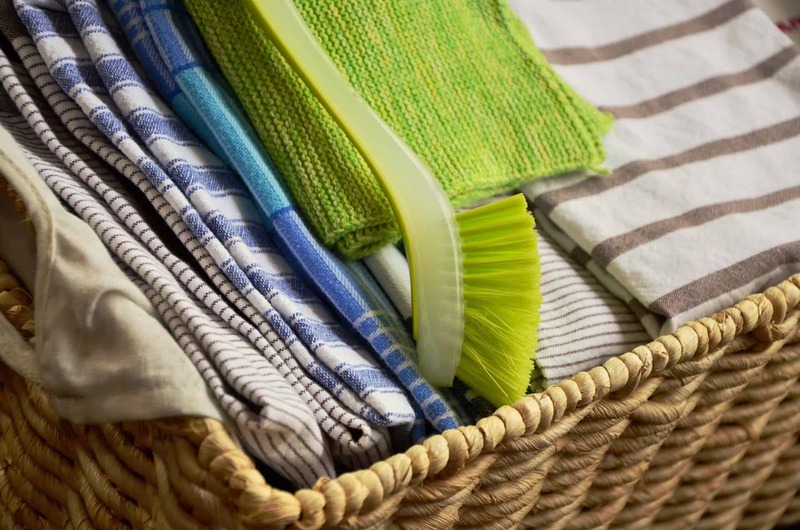 Gather up all of the towels that you own throughout the home – the bathrooms, kitchen, laundry area, etc. Bring them all to one area and get an inventory. Are they any which you don’t need? Are there any which someone else could benefit from more than you do? Do you use all of them or are they just sitting in a closet, taking up valuable storage space? 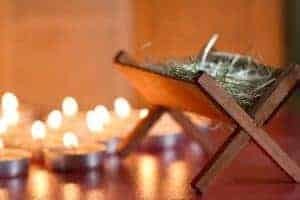 As a Catholic, I find the solution to decluttering is detachment from items and possessions which we own. It allows our hearts and minds to focus on God more without the distraction of things or clutter that need to pick up before we can sit down to prayer. It allows us to serve our families without having to worry about what needs to be cleaned. A clutter free home is also just so much easier to clean. Because we can clean without having to declutter first. Stop buying things that we don’t need. If its not a true need, it doesn’t have a place in our home, so I don’t buy it. If it is something we need, I look for something which needs to leave our home to make room for that item. We aren’t minimalists, but we do strive for a simple life. And I believe that we have become much happier without so many extra items taking up our home. The third thing which I do, is to follow a capsule wardrobe. A basic daily “uniform” and only allow myself a total of 50 hangers in my closet. Life is so much easier when you don’t have to worry about what to wear each morning. Haha. And believe it or not, this actually helps keep laundry under control! Now don’t get me wrong, just because I follow a sort of uniform or capsule wardrobe, does not meant that I dress boring or unfashionable. I still want to dress attractively for my husband. I just limit what I own and keep it simple. I have created a super detailed declutter checklist. A little helper as you go through your decluttering sessions. Sign up below for your FREE access to my super detailed declutter checklist. Here’s a few tips for starting your decluttering session. It can last as long as you need it to. I have three small children, a homestead with farm animals, and a home business. Extra side projects can get overwhelming. I pace myself. I will also prioritize which area I can get knocked out in an allotted amount of time. But I don’t stray from my main goal either. The trick is to plan and prioritize. Don’t let yourself get overwhelmed, because you’ll want to give up. Write a list of goals. Set up 6 boxes, bags, or totes. Whatever you prefer. Label them: keep, put away, donate, sell, trash, recycle. Use my free printable checklist. While you’re decluttering your home from things, don’t forget about toxic relationships, bad habits, and anything which doesn’t bring peace to your life or is distracting you from turning to God and caring for your family. While you’re decluttering your home from things, don’t forget about toxic relationships, bad habits and anything which doesn’t bring peace to your life or is distracting you from turning to God and caring for your family. 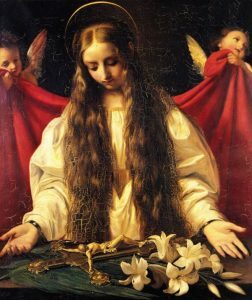 Sign up and receive all of my Catholic Mom encouragement, posts, and updates. Plus, you'll get FREE access to my member only FREE resources & printables. 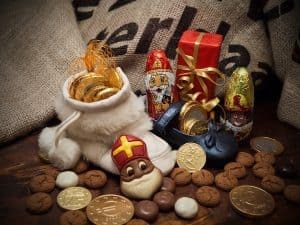 Great post and I couldn’t love more that you through out the paganism and made it Catholic 🙂 Quite my cuppa tea! I’ll be putting your list to work here. Got started already! Thank you for the inspiration!!! Thank you, CeAnne! 🙂 you’ll have to let me know how it goes for you. I’m a Christian and I found myself raising an eyebrow at all of the emotions that Marie ascribes to things. However, I do think that her advice can be translated very easily to accommodate a Christian/Catholic worldview. I believe the main reason Kondo focuses on how things “feel” is to a) allow people to reconcile hidden emotions toward the stuff they own; and b) to make people more mindful of how they treat the stuff they own. She focuses a lot on the irrational reasons that people keep things. Usually you’re keeping that sweater you hate because it was a gift, or it cost a lot and you haven’t worn it, etc. Saying “Thank you for making me feel loved” or “Thank you for teaching me what doesn’t suit me” to a sweater is more of a psychological exercise to benefit you, the declutterer. I don’t think Kondo would think it detrimental to thank God instead of the actual item, because at the end of the day it’s helping you keep what sparks joy and discard things without guilt or false rationales weighing down on you. I also think that her methods of folding clothes help them breathe, last longer, and helps you keep track of them. Even if you’re not focusing on how the clothes “feel” it’s very pragmatic to do things like fold your socks the way she suggests, or to empty your purse at the end of the day. I appreciate your post because it’s the first of its kind that I’ve seen. I see a lot of commentary on her method but no one really takes the time to scrutinize the spiritual aspects of it all. Thank you for reading and sharing your thoughts. I agree that we can make accommodations to suit our Christian needs. I have shared a few examples that work from her book. Thank you for providing more. Thank you for taking the time to defunk the trend of decluttering. I believe that sometimes people ignore the inappropriate because “everyone is doing it”. You helped keep the task, without eliminating our values. Hey Jenny! Thanks so much for reading! 🙂 Yes, it can be a challenge sometimes especially if we follow along with what’s popular.